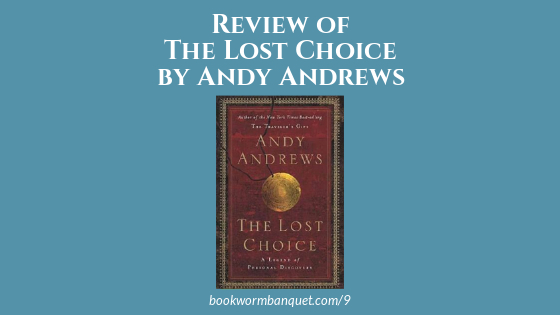 This edition of the Bookworm Banquet podcast features a review of The Lost Choice by Andy Andrews. Neither JD, nor Nicole had ever read anything by Andrews, but after reading The Lost Choice it's safe to say it won't be their last. This book is a tale that weaves threads from various eras in history together with the lives of a modern day family into a tapestry of masterful storytelling. Capping off the episode is another great Bookworm Fact from Nicole as well as a Bookworm Tip from JD. Nicole's Bookworm Fact is about unlikely friendships of famous writers. JD's Bookworm Tip is a great literary board game called It Was a Dark & Stormy Night. You can find out more about the game on its website or purchase it on Amazon. This episode of Bookworm Banquet is brought to you by Adagio Teas! Choose from a huge selection of loose leaf teas; black, green, chai, herbal blends or create your own custom blend!